The Laboratory of Pediatrics at the University Medical Center Groningen aims to unravel the mechanisms behind the disease states and thereby be able to predict severity of disease symptoms and find new drug targets. In order to achieve this we adopt cell biology, biochemistry, proteomics, and systems biology approaches. The Institute of Quantitative and Theoretical Biology at Heinrich-Heine-Universität Düsseldorf focuses on the development of theoretical concepts and mathematical models of biological processes. Current interests are photosynthesis, plant energy metabolism, secondary plant metabolism, the interaction between microbes and photosynthetic organisms and polymer biochemistry. 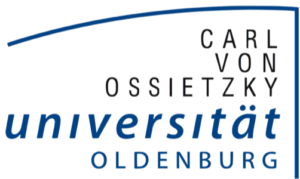 Founded in 1973, University of Oldenburg is among Germany’s youngest universities. Through interdisciplinary, cutting edge research, we aim to find answers to the major societal challenges of the 21st century. The Lab for Metabolic Signaling studies the control of metabolic homeostasis by kinase networks centred on the mammalian target of rapamycin (mTOR). We adopt cell biology, biochemistry, proteomics, and systems approaches. The ambition of the Analytical BioSciences and Metabolomics group at the Leiden University is to develop innovative analytical strategies for metabolomics-driven health monitoring and systems biology studies. Understanding the intricate balance between health, disease and adaptation to challenges relies on the identification of systematic changes during time. The ability to stratify risk and predict disease will enable us to tailor therapies and improve prognosis as envisioned in personalized medicine. 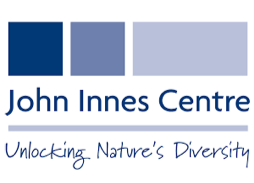 The Biological Chemistry Department at the John Innes Centre carries out scientific research on molecular processes in plants and microorganisms. They explore the structure and function of macromolecules in a range of biological systems. This enables us to manipulate enzymes, proteins, carbohydrates, small molecules and DNA of agronomic, environmental and industrial importance. The research in the Department of General Pediatrics, Adolescent Medicine at the Universitätsklinikum Freiburg and Neonatology focuses on studying the pathophysiology of inborn errors of metabolism and the development of new therapies. In order to achieve this we adopt metabolic profiling by mass spectrometry and the functional characterisation of proteins and enzymes. NUI Galway is world-renowned as an expert research-led University. We emphasize inter-disciplinary research programs, and collaborations with industry partners in areas of strategic importance, both regionally and nationally. NUI Galway aims to be firmly embedded among the top rank of research universities. The University makes a meaningful contribution internationally, nationally, and to the region, following a prioritized set of research themes. The Mardinoglu group at the KTH Royal Institute of Technology develop Genome-scale metabolic models (GEMs) for human cells/tissues and employ these comprehensive models in the analysis of the omics data obtained from subjects with complex metabolic diseases and certain types of cancer (e.g. Hepatocellular Carcinoma). This is an exciting area of biomedical research, driven by the increase of common metabolic disorders as well as recent discoveries of metabolic reprogramming in cancer. Iceni Diagnostics is focused on the development of carbohydrate-based therapeutics and point-of-care diagnostics for infectious diseases. Capitalising on its expertise in carbohydrate and analytical chemistry, Iceni Diagnostics provides bespoke solutions in glycoscience R&D, nanoparticle technology and bioconjugation chemistry. Heidelberger Institute for Theoretical Studies conducts basic research in the natural sciences, mathematics and computer sciences with a focus on the processing, structuring, and analysing of large amounts of complex data and the development of computational methods and software. The research fields range from molecular biology to astrophysics. MIMETAS develops Organ-on-a-Chip technology for testing of new medicines. These models have better predictability compared to laboratory animals and conventional cell culture models. Ultimately, the MIMETAS platform will be made available for patients to select optimal, individualized therapies. enerGQcare applies machine learning technology to health care data. By applying the data analysis techniques of enerGQcare, more know how on disease characteristics of patients will be obtained. TM3 Therapeutics’ purpose is to develop effective treatments for Inborn Errors in Metabolism, a group of rare but severe metabolic and often neurological disorders that primarily affect children. The development programs are specifically targeted to help compensate impaired cellular metabolic pathways, whose malfunction leads to impaired quality of life, progressive loss of function and significantly reduced life expectancy. SB ScienceManagement specialises on project management, consulting and training for third party funding for researchers, institutions and industrial partners from all scientific areas with focus on systems and synthetic biology.